Also branded Breton on the button. 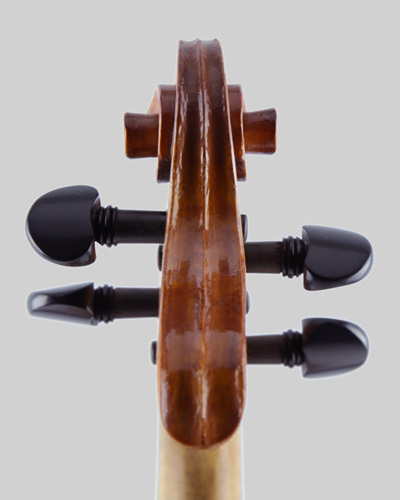 A good quality well made Mirecourt "Breton" violin in sound condition. 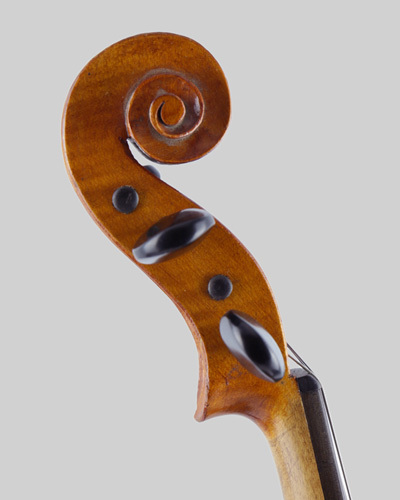 Probably from the Marc Laberte workshops who continued the Breton model after F. Breton, the date relates to the original F.Breton as this violin was made around 1920. One small repaired crack on the lower right front other than this just minor varnish marks. The back measurement is: 14.3/16 (361 mm.) setup with fine quality ebony fittings, Pro-Arte strings and supplied in a new case. 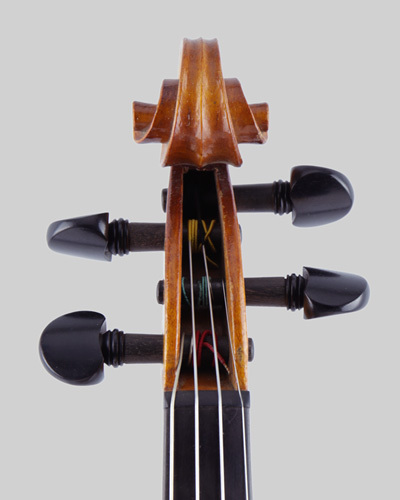 A violin with a full sonorous tone, clear treble and plenty of volume. Please Note! a bit lighter in colour than it appears in the photos. Recommended!